A warmhearted and funny chapter book from Finland’s top children’s writer. 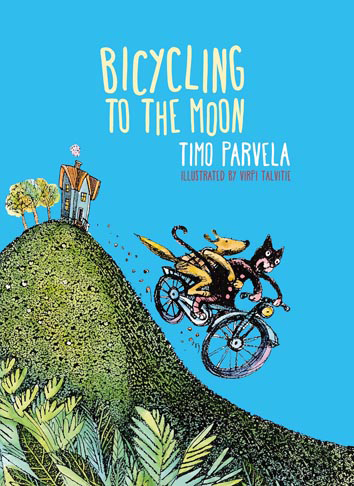 In Bicycling to the Moon, Purdy the cat and Barker the dog live together in a sky-blue house on top of a hill. Barker likes the garden. He wants only to dig, to scratch up the earth and turn it over. But Purdy has big dreams: he wants to fly south with the birds, win the singing competition, be a Supercat. One day Purdy decides that if he could just get a bicycle and ride it to the moon, he would be the happiest cat in the world, and never want anything else again. Ever. Purdy the cat’s antics, dreams, and sly manipulation of his friend are laugh-out-loud funny, while the very warm heart to these stories will have every reader wishing they had a good friend like Barker the dog. To read the first chapter for free, click here. A chapter book for children ages 5-8. 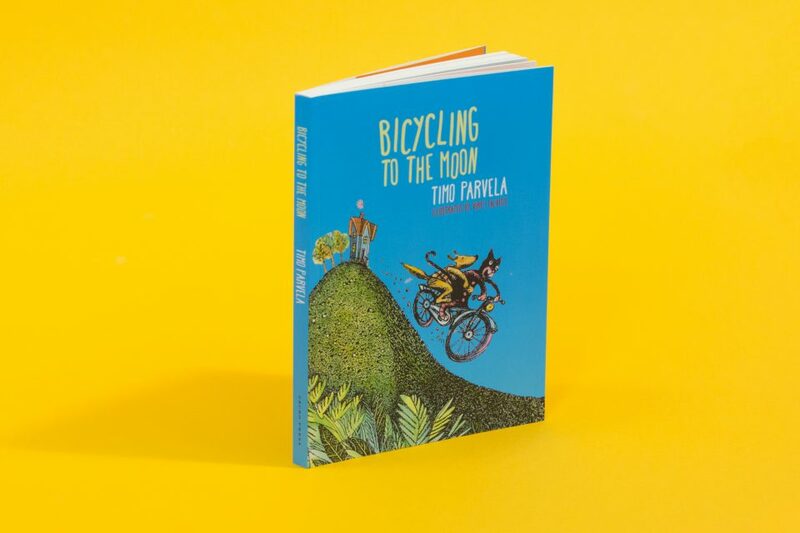 It is beautifully packaged junior fiction book, with Gecko Press’s signature sturdy cream paper which always make artwork stand out wonderfully. These charming, witty, sensible, fanciful, and forgiving characters will delight both readers and listeners. You could pour over this book for hours and re-read it a million times and never get bored. And just wait till you get to the end of this story – I doubt there is a better ending to a story anywhere else. 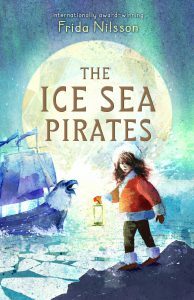 Each of the chapters takes Purdy and Barker on another adventure – and inevitably another conflict! Some they deal with beautifully, some remain unresolved, some fester. Which is quite often the way of friendships. Readers with fond memories of Frog and Toad and those who love Winnie-the-Pooh will adore meeting this new pair of friends. Whilst I have no doubt that confident readers of 7 and up will enjoy devouring this book independently – the gatefold cover, the wonderful (and how!) pencil and watercolour illustrations all make it highly desirable – I think it’s a book perhaps best read aloud by an adult, to be savoured with a child one beautiful chapter at a time. This collection of short episodes features Purdy, a scheming, lazy cat and hard-working, long suffering Barker the dog. Together they live in a sky-blue house on top of a hill. 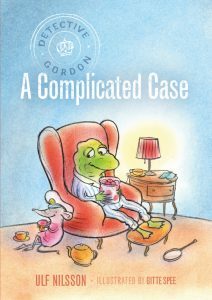 Classified as Junior Fiction, these stories will appeal to readers of all ages. 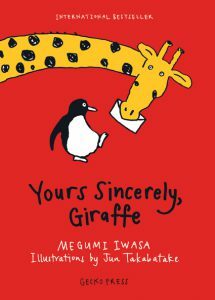 They are great read aloud tales integrating humour, life lessons to be learned, coping with relationships, making decisions, as well as celebrating life’s odd moments. This book is excellent and I really enjoyed reading it. Purdy and Barker are two imperfect friends who get into funny fixes. The drawings are fabulous and show the characters well.